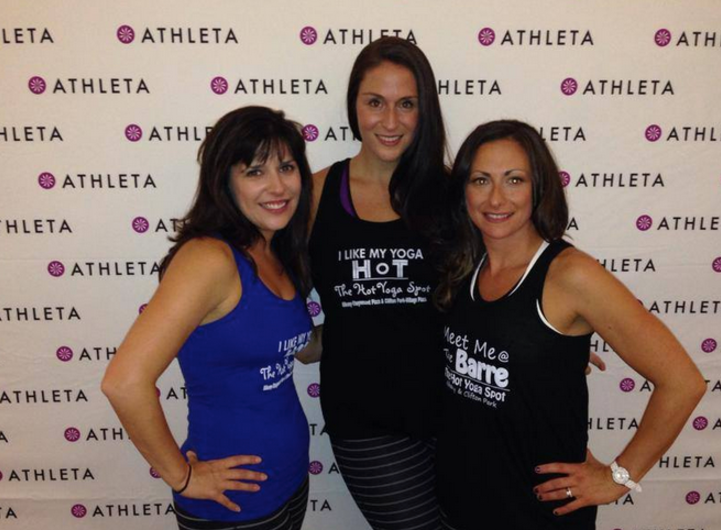 The Hot Yoga Spot is pleased to announce that we have been asked to partner with Athleta to promote their Store Opening Party at Crossgates Mall on September 15. Join Jessica, Andrea and Vicki from The Hot Yoga Spot for this special celebration as we welcome Athleta to the Capital Region. This two hour event will include live yoga demonstrations courtesy of our talented instructors, giveaways, prizes and of course, the latest in Athleta’s fitness fashion. The Hot Yoga Spot is overwhelmed to have been chosen to co-host the Athleta Store Opening Party and we hope to see all of our amazing yogis there! Athleta is located on the upper level of Crossgates Mall near Lord & Taylor and Forever 21.